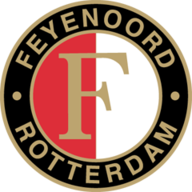 Ajax took advantage of Jeremiah St Juste's early dismissal to record a 3-0 win against Feyenoord in the Eredivisie on Sunday. St Juste was sent off in the fifth minute after the referee reviewed his challenge on Nicolas Tagliafico and changed his decision from a yellow card to a red. 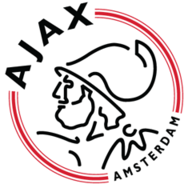 Ajax went ahead just minutes later after a tame shot from Frenkie De Jong was misjudged by goalkeeper Justin Bijlow, who was credited with an own goal. A long-range shot from Hakim Ziyech doubled Ajax's lead before half-time and Dusan Tadic headed in a third in the 80th minute as the hosts moved back to within five points of Eredivisie leaders PSV Eindhoven. A late goal from Sam Lammers gave Heerenveen a 3-2 win at AZ Alkmaar, despite the home side scoring first. Thomas Ouwejan opened the scoring before Michel Vlap equalised for Heerenveen after 30 minutes, and then added his second goal early in the second half. Alkmaar equalised through Johann Berg Gudmundsson with 11 minutes left but Lammers scored an 84th-minute winner. Vitesse came through 2-1 against Fortuna Sittard thanks to a superb overhead bicycle kick by Matus Bero. Centre-back Maikel van der Werff opened the scoring in the 12th minute with a header for Vitesse before Andre Vidigal provided an unlikely equaliser in first-half stoppage time. But Bero's athletic hit in the second half moved Vitesse fifth. Elsewhere, Willem Janssen's 87th-minute header earned Utrecht a 1-0 win at Willem II.